The Ambassador, or Chief of Mission, is the highest ranking American official in France. The full title is “Ambassador Extraordinary and Plenipotentiary.” Extraordinary means that the Ambassador is the personal representative of the President of the United States in France. Plenipotentiary indicates full power to negotiate. 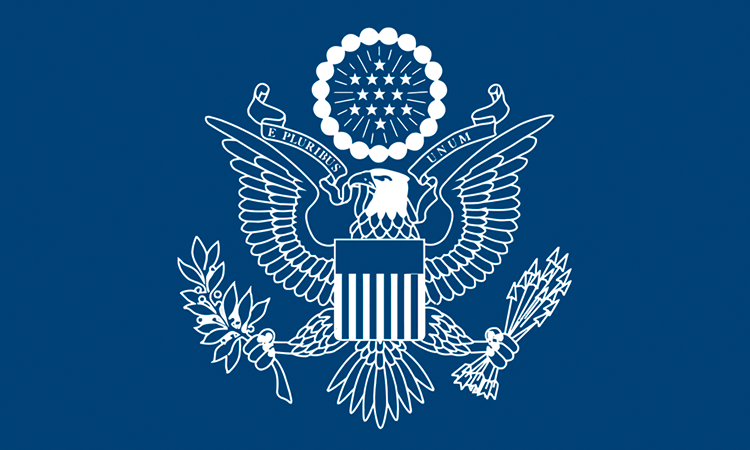 The Ambassador is responsible for the various sections of the Embassy as well as for the activities of all U.S. executive departments and agencies with representatives in France, including the Consulates General in Marseille and Strasbourg, and the APPs (American Presence Posts) in Bordeaux, Lyon, Rennes, Toulouse. Second to the Ambassador is the Deputy Chief of Mission, a position carrying the rank of Minister. The day-to-day management of the Embassy is the Minister’s responsibility, as is a share of the high-level representational entertaining, negotiation, appraisal and reporting on Franco-American relations and issues. In the Ambassador’s absence, the Minister becomes Chargé d’Affaires, thereby assuming all the Ambassador’s functions and responsibilities. Welcome to U.S. Citizens Services at the United States Embassy in Paris. This section provides information on specific consular services available to U.S. citizens in France. Select the service you need on the left hand menu. When coming to the Consular Section for in person services, please read important information on Security at the Embassy. Security Messages for U.S. Citizens: please refer to our section on Travel Information and Messages. Thank you for your interest in traveling to the United States. The Visa Section of the U.S. Embassy in Paris is responsible for providing visa services to those seeking to enter the United States for a temporary period and for those wishing to take up indefinite or permanent residence in the United States. Travelers born in the United States and those who hold dual citizenship with the United States must enter and depart the United States on their U.S. passports. Nonimmigrant visas (also called visitor or tourist visas) are required for all citizens of countries not under the Visa Waiver Program who intend to enter the United States temporarily for business, tourism or study. The type of nonimmigrant visa you will need and the requirements to apply for that visa depend largely on your purpose of travel to the United States. A visa entitles the holder to travel to the United States and apply for admission; it does not guarantee entry. An immigration inspector at the port of entry determines the visa holder’s eligibility for admission into the United States. Anyone who wishes to enter the United States to reside there permanently must apply for an immigrant visa, whether or not that person plans to seek employment in the United States. The Embassy strongly encourages intending travelers to apply for visas well in advance of their proposed journey. IMPORTANT: Travelers are advised to refrain from making irrevocable travel plans until the visa has been issued and they are in receipt of their passport and visa. It takes about one week after the interview for your visa to be processed and returned to you via La Poste. Please note: there is no need to bring a Chronopost envelope to your interview. We will provide information on nonimmigrant appointment waiting times at every Embassy and Consulate (http://travel.state.gov/content/visas/english/general/wait-times.html/ posted). Prepare for your interview by being able to describe your intentions clearly and concisely. To qualify for B1/B2 visas, you need to overcome the consular officer’s presumption that you are an intending immigrant as outlined in section 214(b) of the Immigration and Nationality Act (INA). It can be difficult for a consular officer located in Paris to determine if you overcome this presumption if you are not habitually resident in France or Monaco. Embassy Paris does not exclude applications from applicants, but please keep the above information in mind as you decide where to apply for your visa. Headed by the Minister-Counselor for Political Affairs, the Political Section observes, analyzes and reports on political and politico-military developments in France, and on France’s relations with other countries. These reports, recommending positions and actions to the Department of State, are a basic ingredient in the formulation of America’s foreign policy. Formal and informal negotiations with French government officials on a broad range of subjects lead to agreements in specific areas of concern to both governments. In carrying out these tasks, the Political Section annually presents to French officials approximately 700 formal requests for support on international political issues, and hosts some 200 U.S. Government representatives each year. The Economic Section includes representatives of federal agencies promoting American economic interests in France: the agricultural, aviation, commercial, finance, science and general economic policy units. The work of these agencies is coordinated by the Minister-Counselor for Economic Affairs; it includes promotion of exports of U.S. goods and services to markets in France and elsewhere in Europe, liaison with the French government on international economic and scientific issues, reporting on developments in the French economy, maintenance of the safety and security of international air travel, and advocacy on behalf of the American business community. The Public Affairs Section of the Embassy explains and advocates American policy and works to promote mutual understanding between French and American societies. The Public Affairs Section acts as a focal point for media, think tanks, and academic and cultural institutions, and advises the Embassy on public diplomacy issues. The Section’s two offices, the Press and Information Office and the Culture and Education Office, are directed by the Mission’s Minister Counselor for Communication and Cultural Affairs. They work together to strengthen the French-American relationship. The Press and Information Office is headed by the Embassy Spokesperson. The Office works closely with French and international media to provide authoritative information on U.S. government policies. It facilitates media exchanges and visits to the United States and provides information to the media via press conferences, interviews, press releases and other forms of communication. It also administers the Information Resource Center, the Embassy’s public Internet site and the social media. The Culture and Education Office is headed by the Embassy’s Cultural Affairs Officer. The Office provides French audiences with an understanding of U.S. foreign policy and its context through seminars, conferences, and American speakers. The Office also offers programs that present a fuller picture of American society, its values and beliefs. It manages U.S. government-administered professional and educational exchange programs, including the Fulbright Scholarships. It also encourages U.S.-French non-governmental institutional linkages and promotes American arts and literature in France. The United States Defense Attaché Office (DAO) performs representational functions on behalf of the Secretary of Defense, the Secretaries of the Military Services, the Joint Chiefs of Staff, the Chiefs of the U.S. Military Services and the Commander of European Command. Additionally, the Defense Attaché Office works issues involving operational missions and exercises, protocol, ceremonies in France, US Military Students in France and requesting overflight and landing clearance from the French. The Senior Defense Official and Defense Attaché at the American Embassy, Paris, is COL David Chapman. Welcome to the home page of the Office of Defense Cooperation (ODC) France. ODC France is subordinate to Headquarters European Command and is an integral part of the American Embassy in Paris. The mission of ODC France is to provide a bridge between US and French militaries and defense sectors in order to enhance partnerships, maintain close cooperation and increase interoperability between our nations and within NATO. The Management Section is responsible for staffing, equipping and supporting the Embassy as a whole. Management responsibilities of the Minister-Counselor for Management administrative Affairs include personnel, building maintenance, fiscal management, transportation, information systems and communications. The Bureau of Diplomatic Security, the security and law enforcement resource of the Department of State, is dedicated to providing a secure working environment for the conduct of Foreign Affairs. The Regional Security Office (RSO) is comprised of five Diplomatic Security Special Agents, an Engineering Services Office, the Marine Security Guard Detachment, Local Guard Force, the Pass and Identification Section and the Foreign Service National Investigations Section. The RSO is responsible for providing security services to all US Missions, personnel and facilities in France. Facilities are locations in Paris, Marseille, Montpellier, Nice, Strasbourg, Lyon, Bordeaux, Lyon, Rennes, and Toulouse. The mission of the Marine Security Guards is to provide internal security at designated United States Diplomatic and Consular facilities to prevent the compromise of classified material and equipment which, if compromised, would cause serious damage to the national security interests of the United States; and to provide protection for U.S. citizens and property within the principal buildings of the Mission. Under certain situations, Embassy Marines provide special personal protective services to the Chief of Mission or the principal officer-in-charge, to other senior State Department diplomatic personnel, visiting members of the United States Congress, the President and the Vice President of the United States. The constant reference of many American Ambassadors to “My Marines” is a source of great pride to the Corps. The State Department/Marine Corps team continues in their cooperative effort to best serve in the interests of the United States abroad. The Office of the Customs Attache in Paris is closed for public inquiries. If you have any questions regarding the importation of animals into the U.S., please call the European APHIS office in Brussels. For information on bringing pets into the U.S., call 33-1-43-12-23-23. As returning resident you may take $800 dollars worth of gifts and may include in your duty-free exemption one liter of hard liquor or wine if you are 21, up to 100 cigars (non cuban), and up to 200 cigarettes. An additional $1000 worth of goods will be dutiable at a flat rate of 3 percent. Alcohol, perfume and tobacco are prohibited by mail. For all commercial queries and details on traveler information and customs restrictions, including motor vehicle import/export, check the U.S. Customs website. The IRS Paris Office is CLOSED. This office no longer offers taxpayer assistance (including by mail, fax, walk-ins, or telephone). Please DO NOT send any more IRS forms or tax correspondence to the U.S. Embassy. Please send all mail directly to the U.S. addresses provided in each forms’ instructions. If you are a tax professional or software provider calling about an e-file issue and it is not account related, please contact the e-help office in Austin at +1-512-416-7750. Assistors are available Monday through Friday, from 7:00 a.m. to 6:00 p.m. (American Central time). The U.S. Department of Energy (DOE) opened their 13th overseas office at Embassy Paris in January, 2012. DOE works closely with the government of France on all sectors of energy. DOE has particularly strong ties with the Government of France in regards to nuclear energy research, the ITER fusion program, and renewable energies. DOE interests span oil, coal, gas, renewables, energy efficiency and nuclear. The Foreign Agricultural Service (FAS) links U.S. agriculture to the world to enhance export opportunities and global food security. These responsibilities are principally accomplished via reporting commodity and trade developments to the USDA, coordinating policy issues with host government officials and promoting the sale of U.S. food, agricultural, forestry and fishery products by providing trade services for both local importing companies and U.S. companies wishing to develop markets in this country. Since 1964 NASA has maintained an office in the U.S. Embassy in Paris, France to coordinate NASA programs and interests in Europe. The NASA Europe Representative works with regional aeronautics and space officials and industry representatives on key programs and serves as a local point of contact for NASA meetings and travel in the region. Africa Regional Services (ARS) is a branch of the State Department’s African Affairs bureau and supports U.S. Embassies throughout Africa with speaker and artist programs, social media and press assistance, books (including the imprint Nouveaux Horizons), translations, and more.